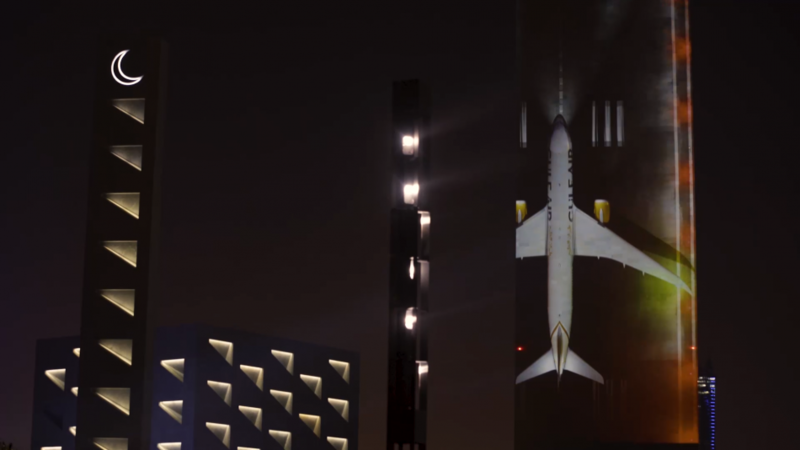 The projection was the first of its kind in this part of the world, and had to be completed in an extremely tight turnaround without sacrificing a single bit of craft: we pulled off the whole project in five weeks with just two weeks of content production. 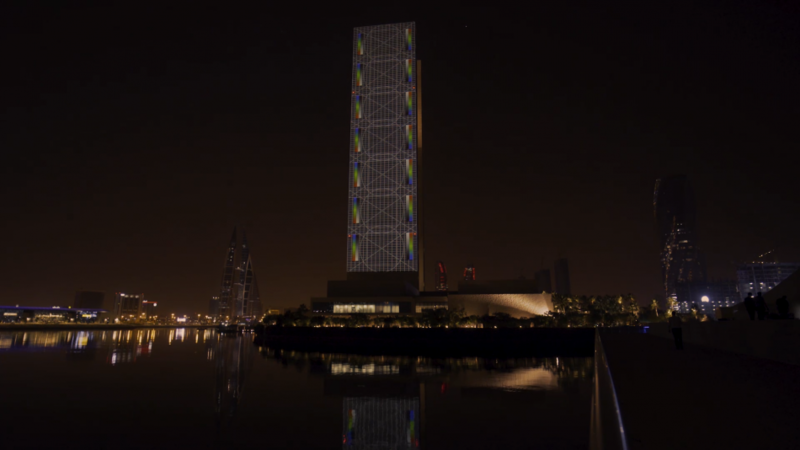 The projection canvas spanned 42 x 168 meters, and used 21 Panasonic laser projectors to map the building. 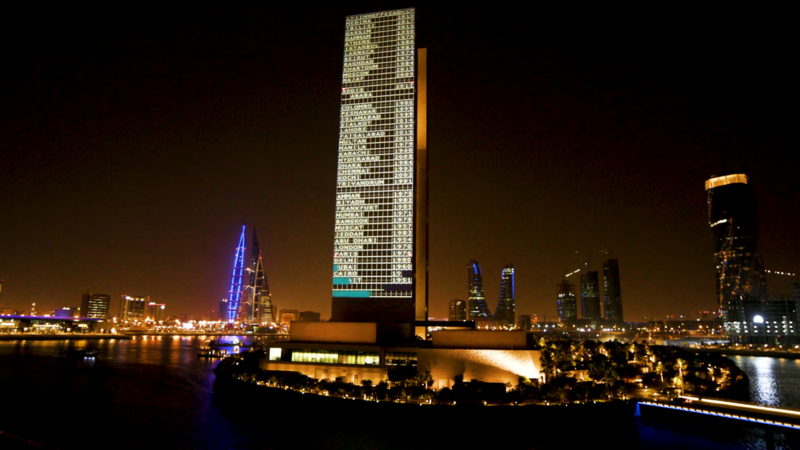 They were arranged in seven groups of three projectors each in order to create a display of this magnitude. 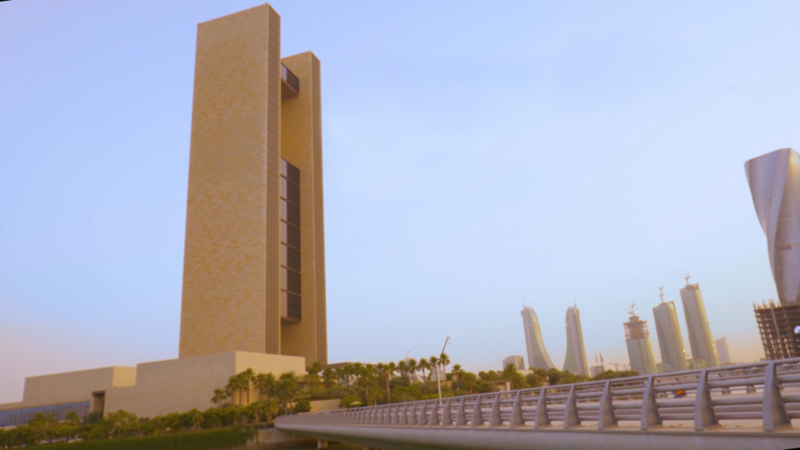 We used 3D animation, created with Cinema4D, to get the experience just right. We also became an integral part of kicking off a second event, Gateway Gulf—creating 400 gold-edged historical postcards set in an unforgettable gift box to be handed out as welcome gifts celebrating Gulf Air’s past and present. 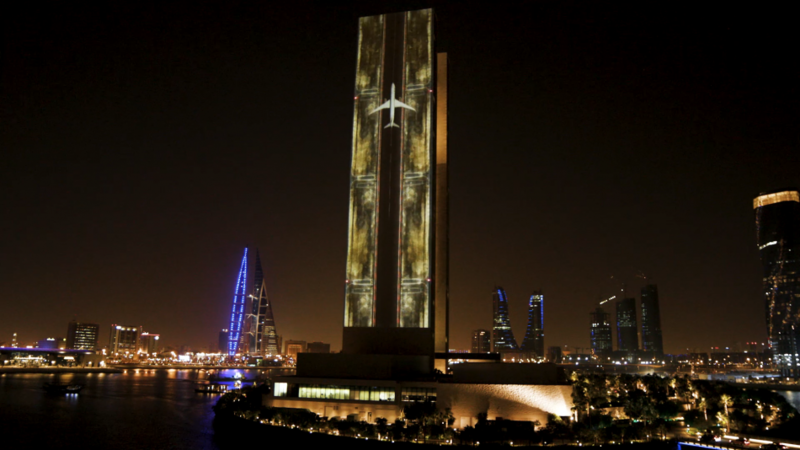 The Deputy Prime Minister of Bahrain personally thanked us for our work, and the Year of Change projection was just shy of a world record attempt. 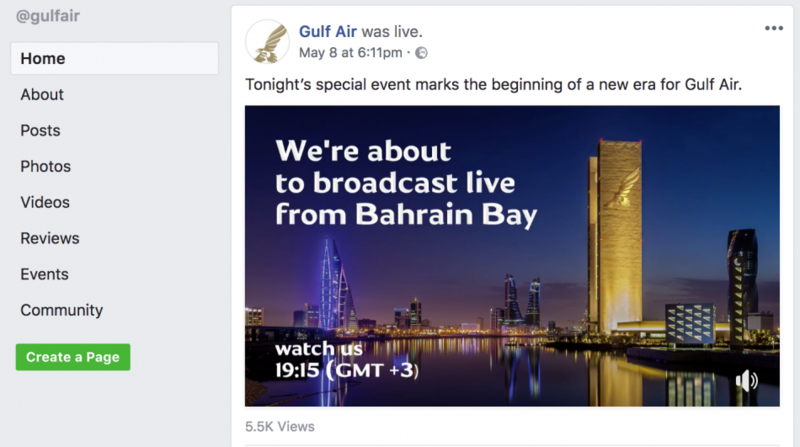 Gulf Air has, thus far, had an overwhelmingly positive year in 2018, as it embarks upon a brand new era. We were there to help make it even bigger.